Bhakti poetry is an amazing amalgamation of art, music, literature, philosophy, politics, soteriology and mysticism. 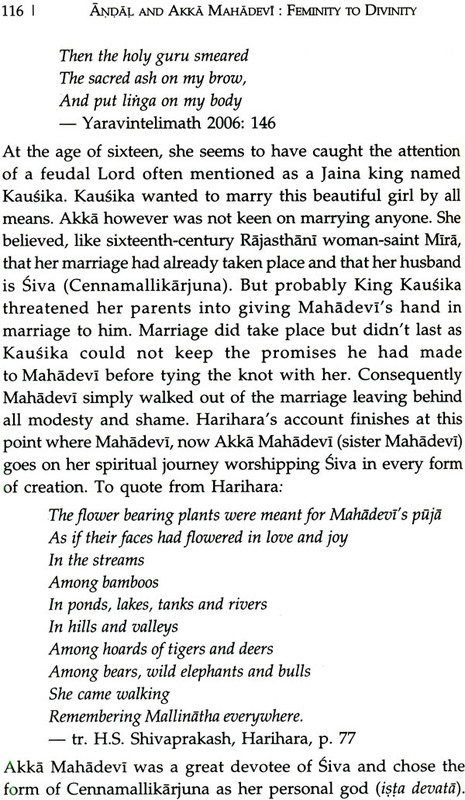 Andal and Akka Mahadevi: Feminity to Divinity reflects this amalgamation in letter and spirit. Two medieval women, Andal, a ninth-century Alvar saint-poetess from Tamil Srivaisnavite tradition, and Akka Mahadevi, a twelfth-century Kannada saint-poetess from Virasaivite tradition, with their poetic renderings and life, got elevated to a stature beyond that of saints. This book deals with three major aspects. One, understanding of bhakti in its historical, philosophical and social perspectives. It thus delves on the idea and phenomenon of bhakti, the ancient religions an d the evolution of bhakti tradition in south India. Two, it portrays the life of poet-saints Andal and Akka Mahadevi and their chosen path of bhakti. Their poetic renderings-Tiruppavai and Nachiar Tirumoli of Andal, and vacanas of Akka Mahadevi-have found merit in rituals, theatre, cinema, dance, painting and other arts. The textual analysis of their poetry is done from religious, literary and socio-political angles. Three, it reflects on how the works of these saints have percolated down to the living patterns in modern India; rather it is a dedication to the living traditions in bhakti. 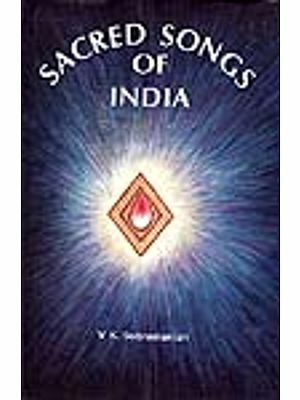 This volume also helps to extricate bhakti experience from its mystical aura and make it more accessible to our perceptive faculties. Thus it enthuses the spirit of anyone, be an artist, a poet, a philosopher, or a scholar. DR Alka Tyagi, a poet, translator and critic, teaches English at Dyal Singh (evening) College, University of Delhi. Her doctoral thesis is on medieval Bhakti poets Andal and Akka Mahadevi. She writes poetry in Hindi and English and her Hindi collection Sun ri Sakhi has been published recently. Dr Tyagi has co-edited, Gendered Space, an anthology of short sorties translated from India languages into English. She has edited English translation of Kalidasa’s Abhijnanasakuntalam. She has also collected and rewritten a collection of oral and folk tales of wisdom published as Healing Tales. Her areas of interest are Bhakti, Yoga and Tantra Darshan. In medieval India, emotion of bhakti evolved into a pan-Indian socio-spiritual movement. There have been saints ad sages from all over India whose lives are supreme examples of bhakti. The myths that are woven around their lives and the literature left by them still inspire popular imagination of common Indian messes. The socio-cultural and also political transformation that this movement could effect by the sheer force of its poetry and performances is remarkable. The way it challenged the feudal system, the caste system and the gender inequalities is unparalleled I pre-modern history. My interest in myths, literatures, performances and the arts of bhakti is a small step in my journey to arrive at a more culturally-rooted answer to prevailing problems of the self and society. Bhakti movement began in Tamil Nadu in the sixth century, spread all over India and continued will into the seventeenth century. In terms of popularity and significance, no other pan-Indian movement has been as lasting as Bhakti movement. It is very much a living tradition in modern India also. The main reason for its wide spread appeal maybe that except for promising the liberation (moksa), the highest achievable goal in Indian way to life, it also extends a democratic attitude towards all people and life forms. Bhakti movement, that had bhakti poets as its major exponents, could cut through the callously rigid varna structure which had a strictly compartmentalized caste system. It was not possible for an individual born in a certain caste to go up or down the four rungs of the caste ladder. However, bhakti’s view considered “love“ to be the highest dharma and looked at book-learning status and wealth associated with higher castes of brahmanas, kstriyas and vaisyas respectively, as rather impediments in the complete self-surrender to God. With this kind of perspective, Bhakti movement could defy brahmanas’ exclusive right to knowledge (jnana) and to attainment of the highest “Truth”. By expositing, that God dwelt in all the hearts and by denouncing all major knowledge bodies, the movement opened its doors not only for the lower castes, poor and illiterate people but most importantly for the women. In addition, the shift in the means of expression from Sanskrit to vernacular unleashed the creative potential of women bhakti poets. These poets played a very significant role in the development of regional languages and litterers also. For instance, in all the major regional languages, one or the other bhakti poetess attained prominence; Andal in Tamil, Akka Mahadevi in Kannada, Lal Ded in kashmiri, Mira in Rajasthani and Gujarati are only to name a few. By making the vernacular the medium of their expression, these poetesses helped to make it more flexible and more suitable for conveying simple colloquial wisdom which usually contained profound philosophical thought. Though it is a remarkable aspect of our culture that women’s poetry survived not only in oral forms but in written forms also, it should be noted that bhakti- marga was not an easy choice for women of medieval age. It was certainly a very difficult path for women bhaktas than it was for men bhaktas. While bhaktas like kabir and Tukaram could continue to be the householders it was not possible for women bhaktas like Akka Mahadevi or Mirabai to remain in ever dominating and ever threatening patriarchal set-up. Except for Bahinabai, women bhakti poets had to struggle their way out of social norms and marital forms that were too oppressive to contain their aspirations for personal spiritual growth. These women saints did not begin as rebels or social reformers as such but were simply individuals searching for a spiritual space free from tyrannies of institutionalized social and religious systems. Since similar hierarchical tyrannies prevail even in contemporary society and culture, these women poets lives continue to inspire women today. Literary value of their poetry is also unique. The kind of poetry they wrote was neither sravya-kavya (epic-poetry) nor drsya-kavya (dramatic-poetic). It was both and much more. Expression of their mystical experience took such forms, which cut across the genres of literature and those of art. Bhakti poetry is in fact a rich inter-fertilization of forms of art and literature. It emerged as an amazing culture that amalgamated art, music, literature, philosophy, politics, soteriology and mysticism in its fold. This study focuses on two medieval women, Andal, a eighth- century Alvar saint-poetess from Tamil Srivaisnavite tradition and Akka Mahadevi a twelfth-century kannada saint-poetess from Virasaivite tradition. This choice is motivated primarily by the fact that though both the poetesses are studied under the common rubric of bhakti phenomena; there are very subtle differences in tier perception of life and that of the God. Their perception manifests in their poetry and this in turn has influenced the way they were received by the community to which they belonged and also by the society on a larger scale. While Akka Mahadevi was considered as a revolutionary and a rebel, Andal was very much a part of the tradition and the community structure. 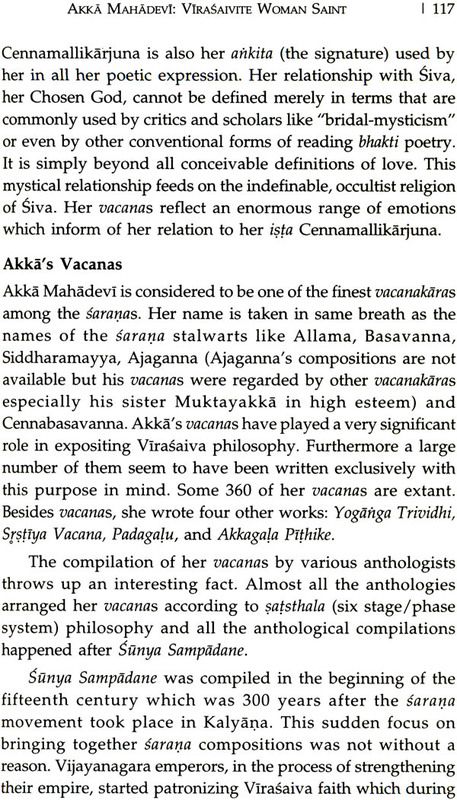 Akka Mahadevi could never be integrated into the mainstream religion; Andal always occupied the central place in Srivaisnava religion. Akka Mahadevi’s image posed a threat to the perceivable image of the Goddess in Hindu iconography, Andal had been raised to the status of a Goddess in her lifetime itself. In fact, major thrust of the study is on the journey and reception of these women bhaktas by the society in their own times and the times that followed. This is done by looking into how the works of these poetesses and the legends about their lives have been adapted into various art forms including films, songs, processions, temple architecture, calendar art and painting. Life sketches of Andal and Akka Mahadevi. 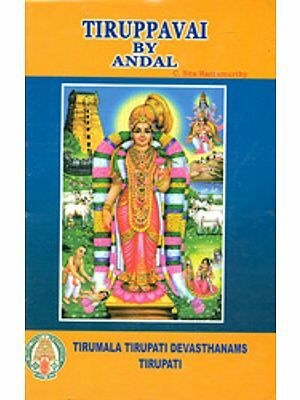 Textual analysis of the poetry of Andal and Akka Mahadevi from religious, literary and socio political angles. Study of Tiruppavai ritual performance in Srivaisnavite centres like srirangam in Tamil Nadu and Melkote in Karnataka. Analysis of classical and neo-classical musical renderings of Andal’s Tiruppavai and nachiar Tirumoli and Akka Mahadaevi’s vacanas with the help of interviews with scholars, dancers and singers. Analysis of representations of the two poetesses in rituals, literature, theatre, cinema, dance, painting and other arts. Analytical tools that are used to critique the textual material from the saints’ lives and works are borrowed from the field of semiotics and is referred to as “Intersemiotic Transformations” in order to address questions of transformation between bhakti compositions and verbal, performing and visual arts that follow from it. The idea is also to understand specific ways in which these culturally significant women’s texts are represented in other genres of art and to look into the extent to which this process is socio-historically mediated and subjected to further transformations. It should be made clear here that use of the term “semiotics” is more as a word with a specific meaning than as a category of western literary theories. “Semiotics” is simply defined as “study of signs”. To this extent, we can use this term when we refer to a specific language register which has its own signs. And hence extendedly I use the term “Intersemiotic Transformations” as it is very conducive to explained interchangeability happening within various art forms that build up their base on bhakti literatures. The subsequent chapters deal with how these transformations are working within as well as outside the works of the chosen saint-poets and how they filter into forms of expression other than their poetry.